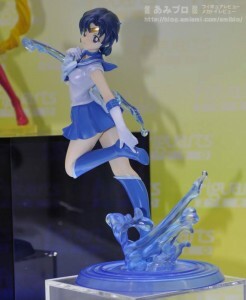 A few weeks ago at Wonder Festival 2014 we got a look at the colour versions of the Sailor Mercury and Sailor Venus Figuarts Zero figures. 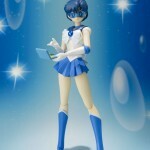 We had previously only seen the colour version of Sailor Moon and the prototype for Sailor Mercury. These 1/8 scale figures are non posable statues which stand at 8.5″ or 22 cm in height and aren’t cheap. 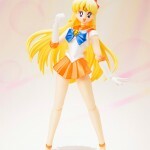 The Sailor Moon figure will sell for 8800 yen and is listed on Amazon for $89.99. Sailor Moon goes on sale March 31st in Japan and April 22nd in North America. 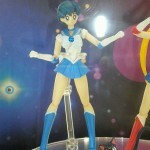 Sailor Mercury and Sailor Venus do not yet have release dates. 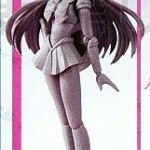 Wondering when they will reveal Sailor Mars? Me too. This entry was posted in Merchandise, Toys and tagged Bandai, Figuarts ZERO, Sailor Mercury, Sailor Moon, Sailor Venus, Volks, Wonder Festival by Adam. Bookmark the permalink. That Venus is amazing O_O I wish they all looked that awesome! I don’t like the Moon and Mercury ones but that Venus… I don’t even like Venus that much but I want that one! HOLY BATMAN. 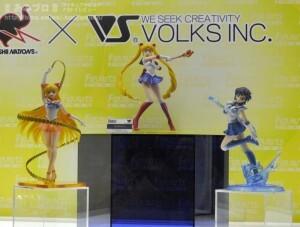 Not too keen on the Sailor Moon one, but that Sailor Mercury! 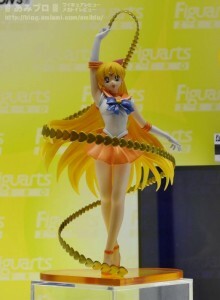 And that Sailor Venus! !